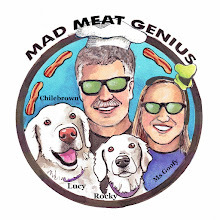 MAD MEAT GENIUS: WHAT ABOUT MY KUMQUATS? When I cook with kumquats you will see a smile on my face. The movie scene from "Its a Gift" with W.C. Fields and the blind & deaf hotel detective Mr. Muckle comes to mind. We have a kumquat tree in our backyard that is very prolific. 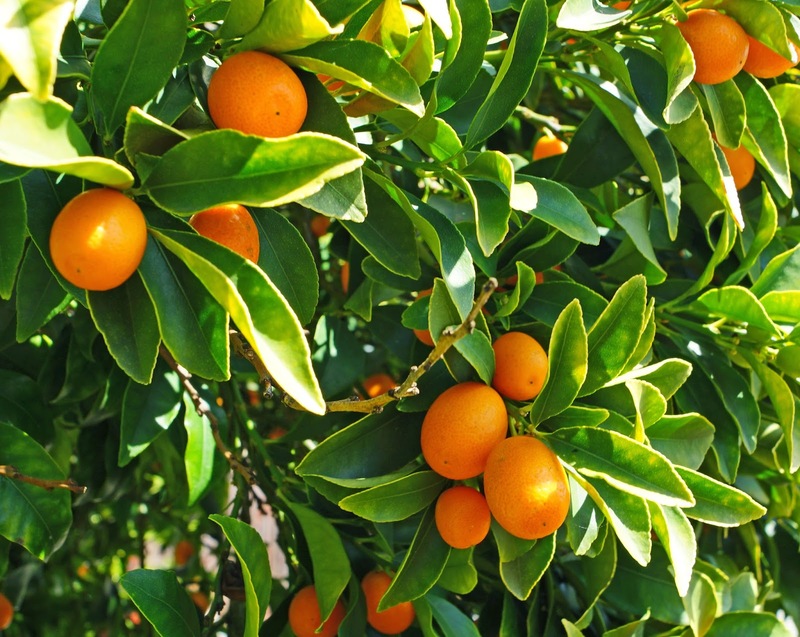 Kumquats are a citrus fruit that resembles a mini orange. They are sweet/tart citrus flavor bombs that makes a wonderful snack. They are eaten whole, peel and all. When they are mature they will have one or two seeds. 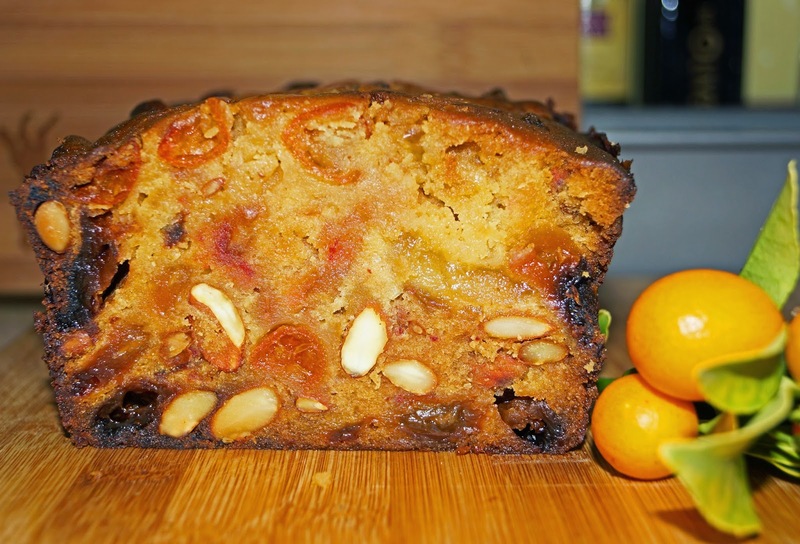 My mother used to make a kumquat fruitcake that I would like to share with you. The recipe originally comes from the Sunset magazine. Of course, I have added a couple of Chilebrown variations. This fruit cake is very special. One change in this recipe is that I use fresh kumquats instead of canned. I take a pound of kumquats, wash, split, remove seeds and boil briefly in some sugared water. The mixture is cooled and added to the recipe. I also add dried fruits and organic almonds that are acquired from the farmers market. 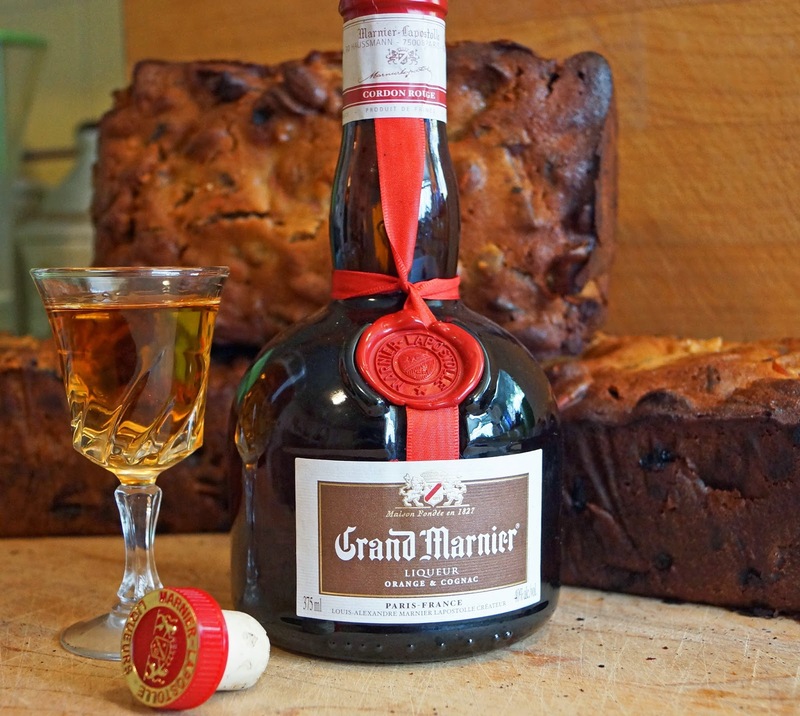 The biggest change to this recipe is the addition of Grand Marnier to the final cake. Once the cake is cooked and cooled it is soaked in this extravagant orange flavored liquor.I have been told this cake gets better with age. The only problem is it never seems to lasts very long. My mothers recipe (pictured above) is stored in a plastic sheath and is faded and stained from years of use. This recipe is special to me for several reasons. 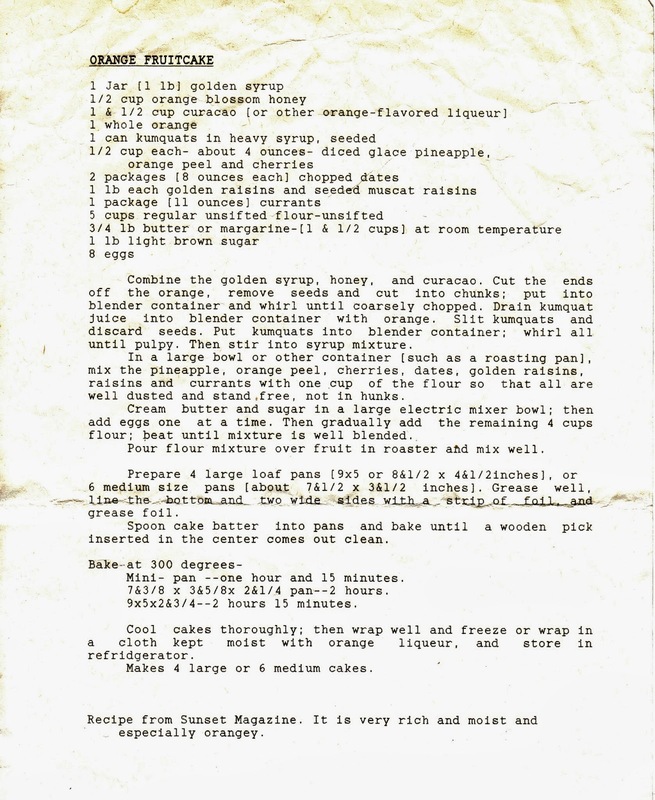 A recipe from my mom is priceless with nostalgia. I get a chuckle just saying kumquats and plus the antics of Fields and Mr. Muckle. We have a huge amount of kumquats from our backyard tree to make plenty of cakes. I think one of the most important reasons that I love this cake is that it decadently delicious. Give it a try. "What about my Kumquats?" Your kumquats are beautiful and your taste in humor is priceless, like your Mom's recipe. Zoomie, If you ever need kumquats I have a lot. I love kumquats. My Grandparents in Florida had a tree in their back lawn. I would go outside and make a pig out of myself when I would go and visit. You know, I don't think I have ever eaten a kumquat. If you can spare some, I'd like to try them. How shall we make it happen? Catahoula? Three Dogs BBQ, They are tasty. Zoomie, I can bring you some to Catahoula's in the morning. How much would you like? I really have no idea. Maybe a dozen? Is that too greedy? 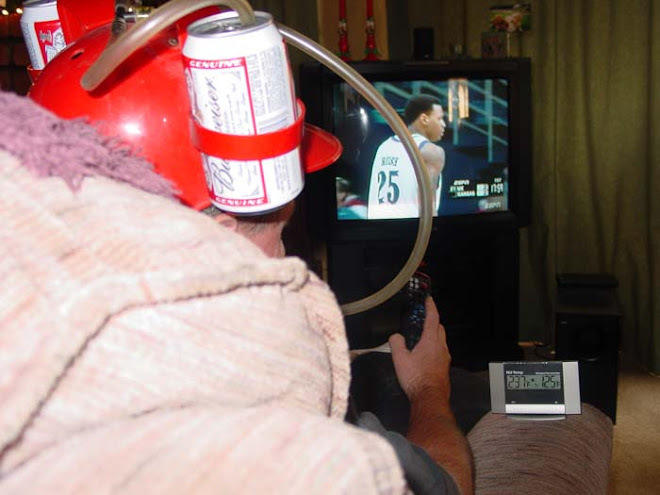 And what time? 10am? I have lost your phone number or I would have called. greatwhite hunter, do not hate the playa. Where is my bacon? Thanks for the huge bag of kumquats! Looking forward to using them. I tasted one, skin and all, and it was a taste sensation - tart/sweet all at the same time.